Few things in life are as frustrating as wasting time looking for things you’ve misplaced at home. Whether it be the keys to the car as you’re rushing out the door, already late for an appointment, or the TV’s remote control five minutes before the latest episode of The Walking Dead is about to start. Attach a Trackr to such objects and you’ll be able to find them almost anywhere in the world. 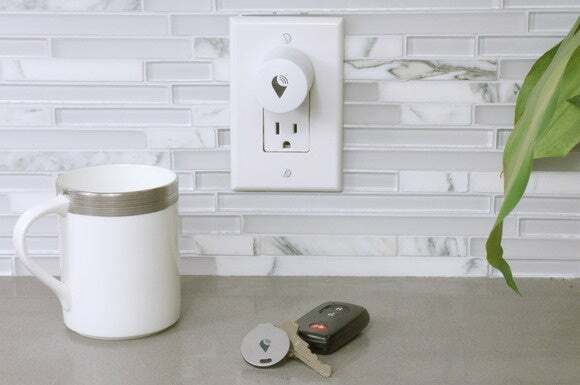 Plug a Trackr Atlas into a wall outlet, and you’ll be able to find them anywhere inside your home. Battery-powered Trackr Bravo tags use Bluetooth Low Energy technology to emit a radio beacon that is picked up by the Trackr app on an Android or iOS smartphone. If you lose a tagged device, the Trackr Atlas, can pinpoint its location to a specific room. Once you’re in the room, the app can cause the Trackr tag to beep to help you location even more quickly. The app can also notify when tagged devices are taken outside a designated area. The next time you lose your keys, you can ask your smartphone “Where are my keys?” and the app will show you where they are on a floorplan of your home. If you have an Amazon Echo, you’ll be able to ask that connected-home device the same question. You would ideally place one Atlas in each room of your home, and tune each one to the size of the room it’s in. Each Atlas, operating independently, will then scan for Bluetooth devices and send information about the ones it finds to your router. From there, an algorithm running on a cloud-based server analyzes the signal strength to determine the object’s proximity to that Atlas. 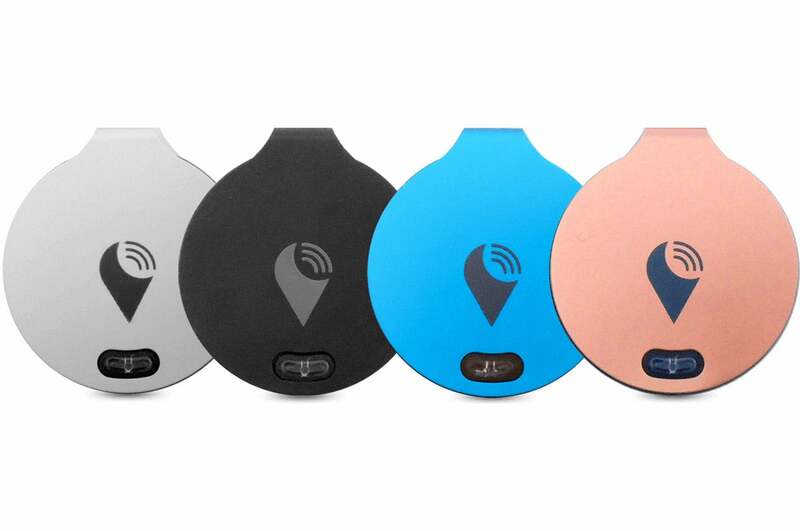 The Atlas works with any Bluetooth tracking beacon, including the Trackr Bravo ($30), Trackr Stickr ($25), and the Trackr Wallet ($30). The Atlas itself will cost $39 as part of Trackr’s latest Indiegogo crowd-funding campaign; it’s expected to ship in June 2016. Each Trackr tag is about the size of a quarter. They can be attached to objects using metal rings or two-sided adhesive tape. Trackr tags were originally developed to recover objects lost out in the world, and they will continue to function that way. If you’re far away from a lost tagged object, Trackr’s “crowd GPS” feature will trigger the apps on other Trackr users’ phones to help search for it. If another Trackr user’s phone comes within 100 feet of the tag, you’ll receive a notification with the GPS location where the tag was last detected. Trackr raised nearly $1.7 million during its crowd-funding campaign to bring the Trackr Bravo to market. The Santa Barbara, Calif.-based company raised raised $8.7 million in Series A funding in October, with the funds earmarked for expansion.